Home>New Songs>Lamb$ Songs> Ski Mask The Slump God Joins Lamb$ On "Break Ya Back"
Lamb$ and Ski Mask The Slump God join forces for their new song. Lamb$ is one name everyone should be getting familiar with right now. He hasn't blown up yet but he's made a serious amount of noise over the past few years. He's worked with the likes of Lil Uzi Vert, Fat Nick, Playboi Carti, and many more artists over the years. This week, he linked up with Ski Mask The Slump God for their new collab, "Break Ya Back." 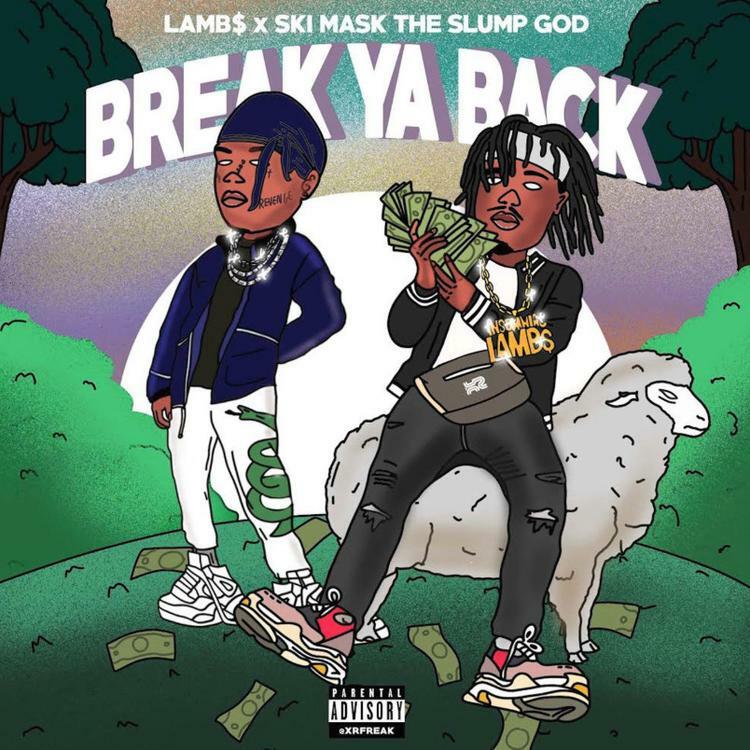 Lamb$ and Ski Mask The Slump God team up on their new collaboration, "Break Ya Back." The song follows the release of LAMB$ collaboration with Lil Uzi Vert, "Fighting Demons," and "Bronny James Jr." Lamb$ and Ski Mask The Slump God. The two rappers connect over production from Tuger, delivering a high-energy banger. Chicago Artists Supa Bwe & Chance The Rapper Deliver "Rememory"
SONGS Ski Mask The Slump God Joins Lamb$ On "Break Ya Back"